The AmDtuning.com with AutoAid/RCIB Insurance Racing team can today announce the signing of race winner Tom Boardman for the 2018 Dunlop MSA British Touring Car Championship season. The Lancashire racer is the first driver to be confirmed at the wheel of one of the West Thurrock-based team’s new MG6 GTs as he makes his return to the series for the first time since 2011. Tom made his debut in the series back in 2001 in the now defunct Production Class before going on to secure championship success in both the SEAT Cupra Championship and the Spanish-based SEAT Leon Supercopa. Two seasons back in the BTCC with his family run team saw Tom regularly challenge towards the sharp end of the grid, securing multiple podium finishes and a breakthrough victory at Knockhill. The 34-year-old also contested a total of 60 races across five seasons in the World Touring Car Championship, with numerous top ten finishes against a highly competitive field packed with some of the biggest touring car names around. Having evaluated his options ahead of a return to competition this year, Tom has now put pen to paper on a deal to drive one of the two race-winning MGs, with pre-season testing due to get underway shortly. Tom’s return to competitive action will then come at Brands Hatch on the weekend of 7/8 April. Discussions over the second seat with the AmDtuning.com with AutoAid/RCIB Insurance Racing team are ongoing. “In recent months, I’d been looking into the possibility of a programme in TCR but when the chance came along to return to the BTCC in the MG, it was one I grabbed with both hands. I’ve always wanted to return to the series but until now, the right deal has never come along. “From the moment we started talking to the team, everything has just fallen into place and I’m absolutely delighted to have signed with AmD to make a comeback. I can’t put into words how excited I am about the season ahead and can’t wait to get behind the wheel and get started. “I’ve known the team for a good few years and team manager Rob Tickner is someone I have worked with in the past, so I’m confident that I’ll fit in well and will be right on the pace when we get to Brands Hatch for the opening rounds. “When we agreed the deal to run the MGs, we were keen to make sure we got the right drivers onboard and in Tom, we feel we have someone who can do a very good job during the season ahead. 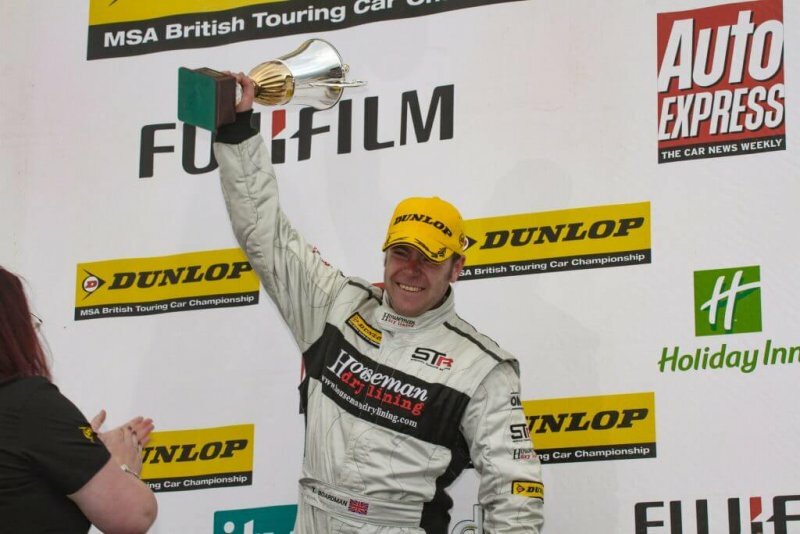 “He has shown his ability to win races in the past, which isn’t an easy feat in this series, and has also shown he has the talent to compete at the highest level from his time in the World Touring Car Championship. “To bring a driver with that level of experience onboard is great for us as a team, but also for AutoAid and RCIB Insurance given the support they have provided for this expanded programme.